On Saturday 19th March the Trustees and over twenty volunteers had a very successful tree planting and clean up on the site. The Trust had successfully applied for young trees from The Woodland Trust and BCTV as part of a countrywide initiative to plant more trees throughout the UK. The weather was extremely kind to the gardeners as it was a glorious sunny morning and the volunteers – including a large group from our local 260th Scout Group – managed to plant over 100 young saplings on the Millennium Green. The young trees comprised a mixture of oak, rowan, wild cherry, beech, silver birch and hawthorn. The Trustees would like to thank all the helpers for their hard work and continued commitment in keeping our local beauty spot clean and tidy for all the local residents to enjoy. 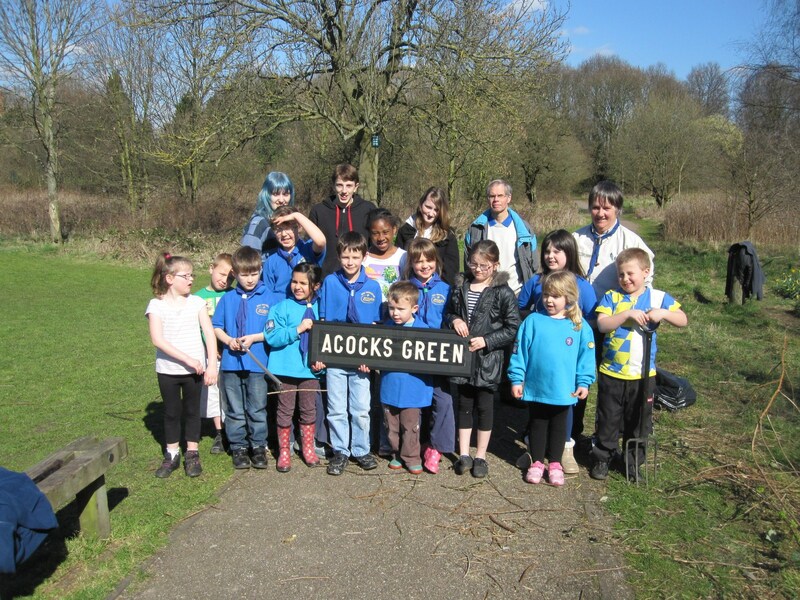 This entry was posted in Events and tagged 260th Scout Group, Acocks Green, saplings, tree planting, volunteers, Westley Vale Millennium Green, Woodland Trust. Bookmark the permalink.